AAPM ® Board of Standards (Global Advisory Board and Hon. Advisors) - Professors, Doctors, and Experts. 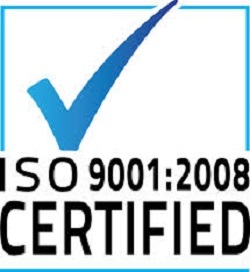 We are a TUV Accredited Certification Body and We are ISO Certified for Quality 9001 and ISO 29990 Certified. Chairman - Prof. Dr.jur. George Mentz, JD, MBA, MPM™, CIPM ™ - Atty at Law - - General Counsel USA - Author of Project Management Books and Treatises and Teacher of PM College and Grad. Courses. AAPM ® Academy and Certifications recently featured in Global Industry News such as: Forbes News, The Business Wire, Reuters Global News, and more. • Dr. Thanh H. Pham, PhD, CSM, PMP, MPM, Global Honorary Advisory Council; Arlington, TX (USA). • V.Madhesh Chith Bhavan B.E, MBA , MPM , CIPM., Business Development Manager. • Imtiaz Syed, PMP, MPM, CIPM - IT Project Manager, Healthcare Information and Management Systems, Ontario, Canada"
• Raghu Tumuluri, MPM, ITIL & PMI. Based in New York, A Senior IT Leader in Global PMO Leadership, Solution & Service Delivery. - Member of AAPM Honorary Global Advisory Committee. • William John Matthews,Dip. Bus.Man.Newport Univ.,MPM®, CIPM® , ERMAP & ,Project Management Principal, WJMGlobal, Program & Project Managers, AAPM ® Hon. Global Advisor. • LTC Garret K. Messner, Ph.D (ABD), MAS, MPM – Professor of Military Science, Embry-Riddle Aeronautical University. • Prof. Dr. John Q. Belt, DBA, PsyD, MPM, CIPM, CPE, CPM, CPG(AAPG), CES, CPG(AIPG), EurGeol, AAPM Honorary Global Advisory Board Member: California Southern University (Irvine, California - www.calsouthern.edu), Faculty Professor-School of Business/Project Management, QuinLab Consulting, LLC (Dallas, Texas - jqbjr@earthlink.net), President, Oil & Gas Geochemical Analytical Laboratory & Exploration Services. • Dr. Amro Taleb, DBA, CIPM, CPMEE - Project Engineer and Manager - Canada / Syria - Hon. Global Advisor. • Dr. Ir. Fauzi Hasan MM, MBA, CISA, CISM, CISSP, CGEIT, CRICS, SSCP, ITIL, PMP, CDCP, CDCE, CSQE, BCMP, Prince2, APICS, IPCMI, CEH, CISCP. - Hon. Global Advisory Board. • Dr. Chan Yuan Eng, PhD, MSc (Proj Mgmt) (USM), B.Sc (Eng), MPMI (USA), MInstBE, MAIE, MAACE, MACostE, MCInstCES, FIConstM, FAAPM, CIPM, CCPM - Principal Consultant, Perunding PMC (Project Management Consultants), Penang, Malaysia - Honorary Global Advisor and Member of the AAPM Global Advisory Board and Council. • Michael D. Maerz Jr., MPM - PMO Director Medicaid - Consultant - Honorary Global Advisory Counsel USA. • Bradley M. Gover, BSBA (Indiana University), CPM (Xavier University - PMI), MPM (AAPM), Global Advisory Board, Project Management/Process Improvement Professional: Florida USA, North & South America, Canada. • Thabo Happy Makeleni. Dip(Building).CIPM-Project Manager. AApM-Board (Honorary Global Advisor). South Africa. • Abdulrahman Zidan Al-Tamimi, MPM® - CIPM®, Acting Head of Business Development – The Saudi Investment Bank – Saudi Arabia. • Natalie Pierce-Gallagher, MBA, Master Project Manager International Charter and Certification - AAPM Honorary Advisory Committee Member. • Paul E. Fortune, MBA(PM), MPM, CIPM, PMP – Certified International Project Manager/ Construction Manager – AApM Honorary Advisory Committee Member. • Deliane R.J. Paiva, MSc, MBA, MPM, CIPM, AAPM Honorary Advisory Committee member, IT Senior Project Manager in Oil Industry, Biologist, Environmental Management , Brazil. • Joefil Cercado Jocson, MEnM, MPM, CIPM, MMC/CMP, FFAPM - AApM Honorary Advisory Committee Member. • Brandi S. Powell-Espiritu, MBA, MPM, CIPM, AAPM Honorary Advisory Committee Member, Executive Director Center for Theoretical Biological Physics, Rice University and University of California, San Diego. • Teresinha de Rodrigues, MBA, MPM, CIPM, AAPM Honorary Advisory Committee member, IT Senior Project Manager in Oil Industry, Statistician, Brazil. • Eko Sujitno, BSc (Civil), BSc (Econ), MPM, MQM, CPRM, CIPM as Global Advisory Board and Honorary Advisors, Abu Dhabi, United Arab Emirate. • Everette Virgil Greene Sr., BSc., CCC, CCI, CIPM, CPE, MPM CCPM - Certified Construction Consultant / Project Manager / Planning Engineer - Turks and Caicos Islands, B.W.I. • Dr. Edward (Ed) M. Coufal, Ph. D., MPM ™, Fellow - Academy of Project Management, Hon. Global Advisor, Security Expert, (EU & USA). • Prof. (Dr.) Niranjan C. Bhat, Hon. Global Advisor for AAFM and AAPM, International & Grand PhD, FAAPM / FAAFM, MPM / MQM / MMC, CIPM, GPM, CPD and MFP - India. • Dr. Lincoln B. S. Rosa, PhD, MBA, CompTIA ITProject+ SME, AAPM Member, IEC Fellow, ICECC, MCSE, Chair of AAFM Brazil, President of Silva Rosa Group. • Aslam Sardar Ansari, BE (Const), CEng (India), MPM, CIPM, Master Project Manager, PGDACM, DMtM, DHRM, ADBA, PGDOM, PGDLSS, Lean Expert, Six Sigma (Black Belt), Member (PMI), Member (AIMA), Member (IEI), PM Executive - Mumbai (India) - Hon. Global Advisor. • Syed Raashid Ahmed, PMP, MPM - Project Management Specialist, Doha, Qatar. • Dr. Dimitrios S. Stamoulis, CEC, MPM, Banking Executive & Unviersity Lecturer, Athens, Greece. • Dr. Dallip Bhowani, PhD, CIPM, BS, Adv. Dip.- South Africa - Exec. Project Manager. Hon. Adv. • Dr. Cornel Collins, MBA, MSc, PhD, MPM™, CIPM™, IWWP, CPM, CAC: - Lignum Technologies (Bahamas) Ltd.
• Marco A. Lorenzo, MSc, CIPM - Architect - Spain EU - Hon. Global Advisor. • Eyad M. AbuKhalifeh, CBMA, CIPM® , ERP & Financial Reporting Manager, Jordan Aviation Airline AAPM ® Hon Advisor. • Chamath Nalinda Rajakaruna, MPM - Japan Project Management Exec. Hon. Advisor. • Dr. Motsotuoa Makoa, PhD, MPM ™,, CIPM ™,- South Africa - Waymark Infotech - Hon. Global Advisor. • Prof. Dr. Winston Awadzi, PhD, Professor of Management - Delaware State University Hon. Global Advisor. • Yinka Dixon-Oludaiye BA, MPM, CIPM, PME, AAPM, Dean, Premier College Ireland, International Project Manager, AAPM Global Advisor / IBS International Board of Standards - (www.irelandpremiercollege.com). • Hazem El-Bahrawy, B.Sc. Civil Engineering, PMP®, MPM®, CIPM®, AAPM® Honorary Global Advisor - Executive Manager of Projects. • Christian Doyen, BA, MPM, CIPM, PMP®, MBA cand., - Washington DC - Ex. Project Manager - Hon Advisor. • Carmine Russo, BS, MS, MPM, CIPM, Prince2 Certified Project Manager - Rome Italy EU * Hon. Global Advisor. • Federico Shephard, MPM, MFP, CIPM - Board of Advisors -2007 - New York, USA - Pervasive Learning Feel free to contact Mr. Shepard for Certified Training in Project Management in New York and surrounding areas. • Kelly McPike, SCLA MBA - MPM, Project Management Executive - Oswego Illinois - USA -Hon. Global Adv. • Dr. Mohammad Reza Ghaemi, CPE - Engineer, Vancouver Britsh Columbia, Canada - Hon. Global Adv. • Tracy D. Brewton, CIPM ™, CPE ™, MPM ™ Master Project Manager ™ Augusta, GA USA - Hon. Advisory Committee. • Thabo Happy Makeleni. Dip(Building).CIPM-Project Manager. AApM Board ( Honorary Global Advisor. South Africa. • Isaac Eric Kwoba, MPM, CIPM - Mombasa, Kenya - Hon. Advisor. • Odusoga Akeem Adesanya, MPM - Lagos, Nigeria Hon. Advisory Comm. • Ashraf Al-Astal, MBA, BSc, MPM, PME, CIPM, MCSE - Project Management Engineer - Gaza, Palestine - Hon Glo. Adv. • Ashiq Hussain, B. Comm., MPM - Project Manager - Islamabad, Pakistan - Hon. Global Adv. • Mark Johnson, MPM, ASAPM, South Carolina - Project Manager - Hon. Adv. Board. • Syed Aaun Abbas –MBA, MPM, Senior Manager PMO (Telecommunication), Lahore , Pakistan Hon. Adv. Bd. • Robert W. Gray, M.P.M., BS, MPM, CIPM, [Doctorate in Progress] - Novum Structures LLC - WI, USA - Hon. Global Advisor. • Felix Pollo, MPM - Florida USA - Hon. Global Advisor. • Sukant Kumar Dash, MBA, MCP, Hon. Global Advisor, India. • S.A.V. Paul, M.Sc . (Reading) ,MPM , CIPM - Guyana, (Honorary Global Advisor to the Board). • Osabohien Henry Onyema, BEng(Hons), MNIM, MIMechE, MNSBE, FAAPM, CPE, CIPM - Sr. Project Management Executive, NestOil PLC Port-Harcourt, Nigeria. Hon. Global Advisor. • Dr. Imran Ahmad, JD,DBA,MBA,MSBA,MBA,MPM,CIPM, Dipl Eng. • Bode Ewumi, MBA, MCInst., CIPM (Hon. Advisor) Project Management and Business Development Professional, Canada. • Engr. Mudassar Hameed, MSc, MPM ™, CIPM ™, Fellow-AAPM (USA), Fellow-IManuf (UK), IEng IMechE (London, UK). • W V V Suresh Kumar, MPM - Proj. Manager - India, specialized in health care Projects. • Aiyappa Uthappa Kechamada - B.E. ( Computer Science), PMI-PMP®, MPM®, APM-SCM ( Stanford University), CSM® - Certified Scrum Master, Member (PMI)– Atlanta, USA – AAPM Honorary Global Advisory Board. • Seymur İlyasov, Senior Industrial Engineer, CPE - Honorary Global Advisor - Azerbaijan. • Thomas Loiacono, CSM®, MPM®, Based in the San Francisco Bay Area, a Senior Project Manager focused on driving the delivery of technology and non-IT enabled solutions to drive business value. - Member of AApM Honorary Advisory Committee. • George Hanna, PMP, PMI-RMP, CIPM - Planning Manager, Dubai UAE - Honorary Global Advisory Board. MPM ™Membership Board approves new Logos for use by global members.